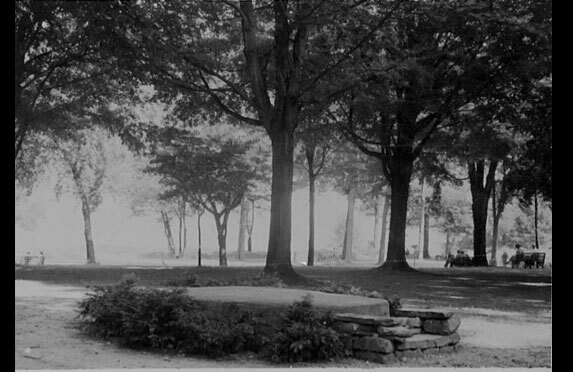 For over 130 years the Amphitheater has been the centerpiece of Chautauqua Institution. From its humble beginnings as a simple speaker platform, the Amphitheater has evolved and expanded as Chautauqua Institution grew. The original 1874 speaker’s platform (ciweb.org). When Chautauqua’s leaders built the current Amphitheater in 1893, they designed it to last 100 years. It certainly has done just that, but not without some trouble along the way. In just the last twenty years alone, the Amphitheater has undergone major renovations to update the electrical capacity for lighting and sound, repairs to the foundation and roof, and the addition of accessible ramps for the disabled, all requirement which could not be envisioned when the original structure was built. Every repair and update was a challenge. Chautauqua Institution’s leadership has long tried to balance the needs of a modern age with a desire to preserve the much-loved character of the structure. But, section by section, the Amphitheater has been torn down and rebuilt again and again over the years. 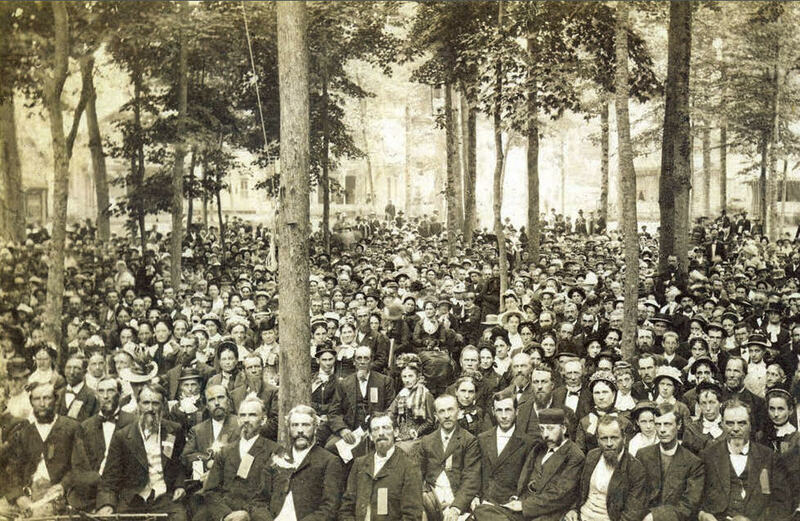 Filled to capacity; a view of the stage from the back of the Amphitheater, 1913. Last year, Chautauqua Institution’s governing board at last cried “uncle” and determined that no amount of updates and renovations could prepare the existing Amphitheater for the needs of current and future generations of Chautauquans. 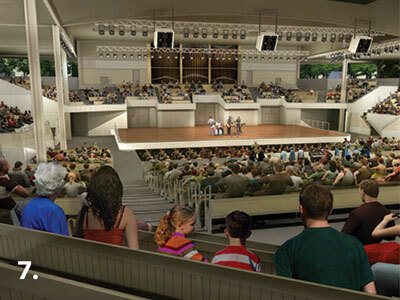 So in last December Chautauqua Institution announced a major remodel of the Amphitheater. Construction has already begun on the grounds surrounding the Amphitheater. This fall, after the 2016 season has closed, the existing Amphitheater will be thoroughly remodeled and updated. Essentially, a brand new structure will be built. If all goes according to plans, the new Amphitheater will be completed in time for the 2017 summer season. 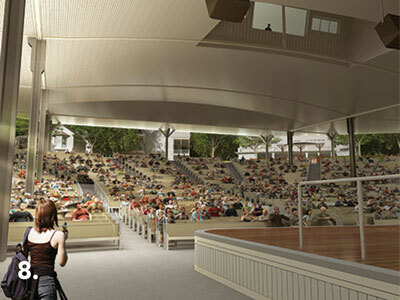 You can see all the artist’s renderings of the new Amphitheater design by clicking here. 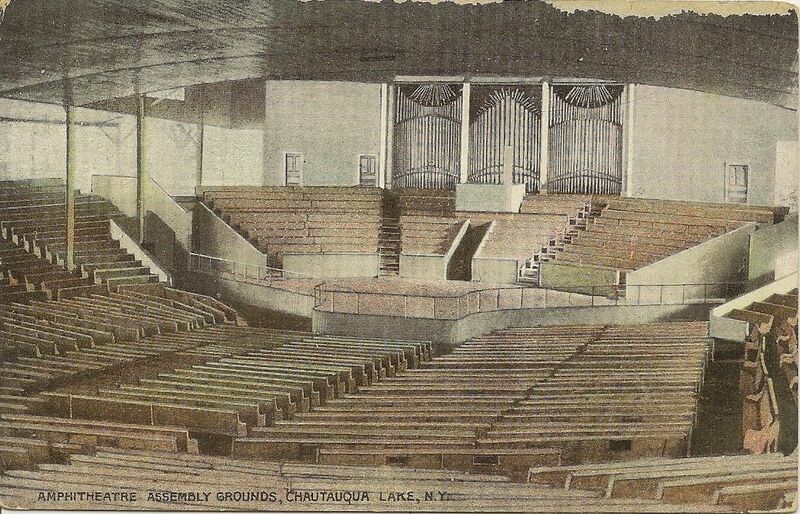 If you’ve ever thought about visiting Chautauqua Institution to see the Amphitheater and the incredible Massey Memorial Organ as Isabella Alden once saw them, 2016 will be the last year you will be able to do so. Some people are saddened by the change. It’s the end of an era, but the beginning of a beautiful future for Chautauqua Institution’s Amphitheater.